KLOTZ AIS produces FO camera cables to the SMPTE standard. The company holds certification to produce optical fibre cables like our CAM311 with LEMO or Neutrik opticalCON connectors. As optical fibre types often differ widely, the process requires great experience and technological expertise – skills which our highly skilled and qualified experts naturally have. They use state-of-the-art production machinery, tools and measurement equipment to ensure maximum precision and quality, and document the results in test certificates that are supplied with the cables. The cable itself complies with the SMPTE 311M and ARIB standards for HDTV cameras. It is a hybrid cable with four power lines and two lines for control signals via two single-mode optical fibre conductors. A central insulated steel strength member ensures very high tensile strength. With a diameter of 1.8 mm, it meets the ARIB specifications for this feature, which are more rigorous than those in SMPTE 311M. 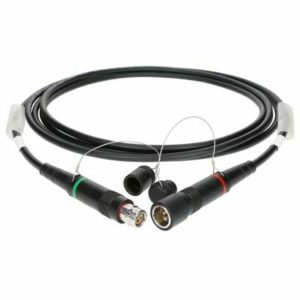 The CAM311 Camera Cable is available with a variety of LEMO connectors (3K93C) in accordance with SMPTE 304M. 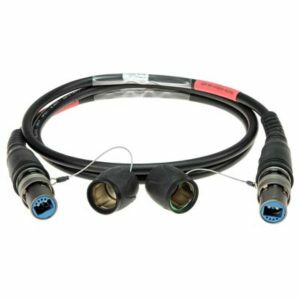 The cable is also available with Neutrik opticalCON connectors.